More than Trees. Hawaii: NatureTalks Publishing, 2007. Dixon, Sherry. Natural Destiny, CreateSpace, 2012. Simson, Jo Anne. The God That Says I Am: A Scientist’s Meditations on the Nature of Spiritual Experience, 2010. Warner, Patricia. How To Use Global English, ebook to be published by CreateSpace in 2013. Warner, Patricia, Travel Smart, e-book to be published by CreateSpace in 2013. Wood, Paul. Orchid Isles: The Story of Orchids in Hawaii. Hawaii: Island Heritage Publishing, 2006. 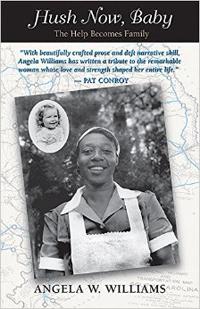 Angela Williams, Eva ‘n Me. 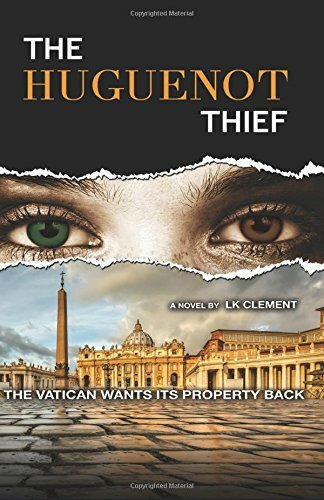 To be published in 2013. My Island Self Tethered by Grace, the Life of Blanche Johnston. 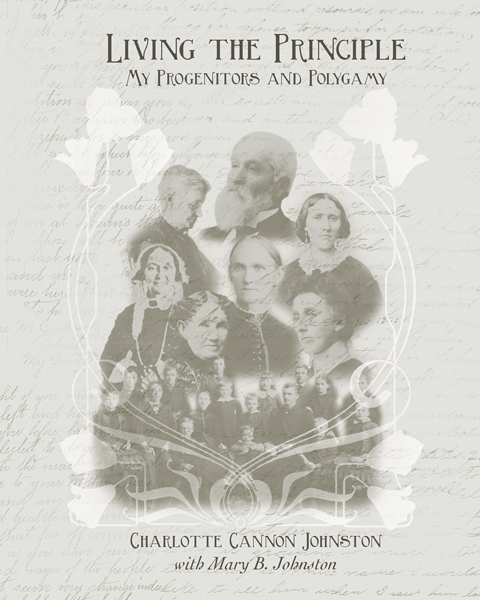 Salt Lake City, UT, Family Heritage Publishers. To be published in 2013. Benton, Margit. The Other Side of Knowing: Searching for Truth and Peace during World War II and Its Aftermath. To be published in 2013. Densmore, Ann. 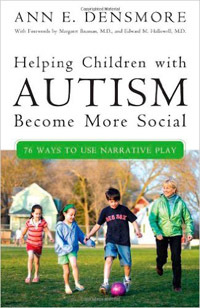 Helping Children with Autism Become More Social: 76 Ways to Use Narrative Play. Portsmouth, NH: Greenwood Publishing Group, 2007. Hales, Thomas C., Dense Sphere Packing, Cambridge: Cambridge University Press, 2010. Densmore, Ann. “Speech on Location: A Narrative Play Technique to Teach Expressive Language and Communication with PDD/Autism/Language Delay.” Journal of Developmental and Learning Disorders 4. 2 (2000): 209-239. Ding, Hongbo. “Localized Corrosion Currents and pH Profile over B4C, SiC and Al2O3 Reinforced 6092 Aluminum Composites.” Journal of The Electrochemical Society 152 (2005): B161–167. Goncalves, Jorge and Sean Warnick. “System Theoretic Approaches to Network Reconstruction” in Control Theory in Systems Biology, edited by Pablo A. Iglesias and Brian Ingalls, pp. 261–175. Boston: MIT Press, 2010. Hales, Thomas. “The Jordan Curve Theorem, Formally and Informally.” American Mathematical Monthly 114 (2007): 882-894(13). Tiwari, Atul, Jun Zhu, and Lloyd H. Hihara. “The Development of Low-temperature Hardening Silicone Ceramer Coatings for the Corrosion Protection of Metals” Surface and Coatings Technology. 202: 19 (June 2008): 4620–4635. Tiwari, Atul, Ryan Sugamoto, and Lloyd H. Hihara, “Analysis of Molecular Morphology and Permeation Behavior of Polyimide-Siloxane Molecular Composites for Their Possible Coatings Application.” Progress in Organic Coatings 57 (2006): 259–272. Devarajan, Thamarai Selvi. “Corrosion Initiation Sites of Particle Reinforced Metal Matrix Composites.” Thesis. University of Hawaii, 2005. Kusada, Kentaro. Corrosion Behavior of Aluminum Alloys Coated with Silosane Ceramic-Polymer Films in Marine Environments. Ph.D. diss. University of Hawii, 2012. Kinuko, Maehara. “Okinawan Nisei in Hawaii.” Thesis. University of Hawaii, 2005. Kumanu, Ruriko. “Academic Freedom and Autonomy: Walter C. Eells and Higher Education in Occupied Japan.” Ph.D. diss. University of Hawaii, 2007. Su, Chen-Wen. “A New American School of String Playing—A Comparison of the O’Connor Violin Method and the Suzuki Violin Method.” A doctoral essay. University of Miami, 2012. Sugadev, Prasath Mungundu. “Numerically Controlled Electrochemical Machining of Silicon Carbide Aluminum Matrix Composites.” Thesis. University of Hawaii, 2004. Washburn, Brit. “The Long Haul: The Ongoing Work of a Poet.” Thesis. Goddard College, 2012. Fukuda, Sachi. Pupus Plus. Hawaii: Bess Press, 2004. Summers, Kathy. Healing with Handmade Bread. Adobe Reader eBooks, 2004. Hirschi, Ron. Swimming with Humuhumu. Hawaii: Island Heritage Publishing, 2004. Yee, Tammy. Baby Honu’s Incredible Journey. Hawaii: Island Heritage Publishing, 2004. DeBaryshe, Barbara and Dana Gorecki. Learning Connections: An Emergent Literacy and Mathematics Enhancement Curriculum. Hawaii: University of Hawaii Press, 2004. Fong, Grace and Mary Ann Nemoto. Learning to Grow: Early Learning Activities for Infants and Toddlers. Hawaii: University of Hawaii Press, 2005. Fong, Grace and Mary Ann Nemoto. Learning to Grow: Early Learning Activities for Young Preschoolers. Hawaii: University of Hawaii Press, 2005. “Wild Blossoms of Faith.” Dialogue: A Journal of Mormon Thought. 25.2 (1991): 131–35. “The Miracles of Service.” Women Steadfast in Christ. Salt Lake City: Deseret Book, 1992: 183–191. “Children in Literature: A Community Service Learning Course.” Models of Service Learning. Springfield, MA: The Community Service Learning Center, Inc., 1994: 86-94. “Swimming Lessons: A Birth Story.” Exponent II. 21.2 (1996): 5. “Thirty-seven Thoughts on Being Thirty-seven.” Exponent II. 22.2 (1997): 4–5. “Vacuuming the Attic.” Exponent II. 23.1 (1999): 4–7. “What We Bear with Grief.” Exponent II. 23.2 (2000): 11–13. “Empty Nets.” Sunstone Magazine: Mormon Scholarship, Experience, Issues and Art. 123 (2002): 45–47. Earned first place in the Eugene England Personal Essay Contest. “Past Counting.” Family Building. 2.3 (2003): 22, 31.